1. 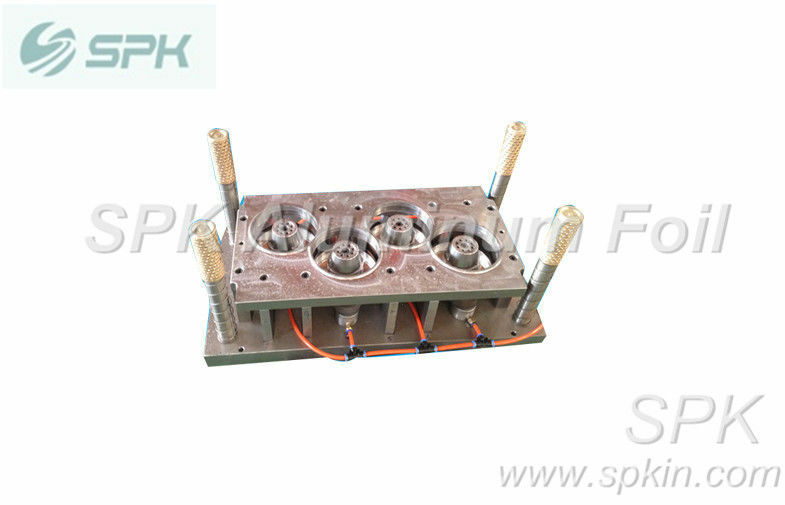 The moulds that we design and produce are suitable for almost every kinds of machine or press. 3. To meet customers’ different requirement, we design and manufacture the mould in several rims,such as G rim, L rim, H rim, and IVC etc. 4. We can design and produce the mould in multi-cavities, no matter it is one compartment container or multi-compartment container. 5. In order to save foil material cost, we has innovated “zero-web” moulds. this kind of moulds will reduce lots of foil scrap. 1. The mould adopts aeroelasticity resillience device,and our advantages of the mould have long shelf,stable quality,high precision,and reasonable design. 2. The mould can realize the process of cutting,forming,plugging and rolling of aluminum foil wares in one step. 3. Cunsummate quality system,smooth wall container,multi-cavity container,various rims,nd multi-compartment. We have strict quality control system .Good reputation in the market.